The FLEXMAG 4050 is the first electromagnetic flowmeter that features a disposable flow tube designed specifically for single use biopharmaceutical applications such as filtration processes, chromatography, or buffer and media preparation. The biocompatible and gamma sterilizable flow tube is produced in a sterile facility and features a single barb fitting that meets biopharmaceutical requirements for adaptation to single use systems. As an electromagnetic meter, the FLEXMAG 4050 will not drift over time. 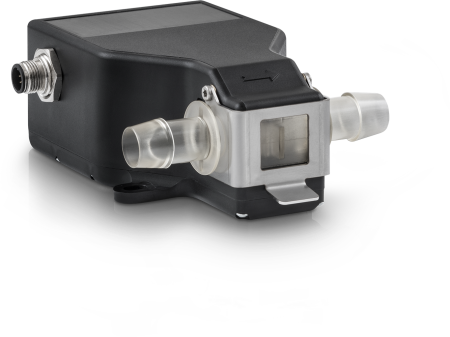 It provides a completely stable, direct and accurate volumetric flow measurement unaffected by fluid properties such as colour or density. The FLEXMAG 4050 provides highly accurate measurement with outstanding repeatability. Transmitter and flow tube are factory calibrated and do not require in-situ calibration. The meter can accommodate two different flow tubes sizes so as to handle two different flow ranges by simply exchanging the tube without having to recalibrate.